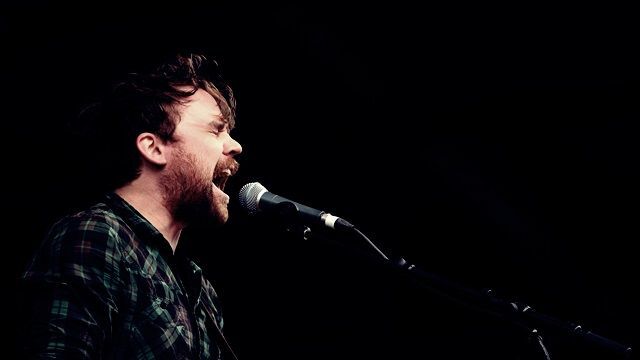 On 10 May 2018 lead singer of Frightened Rabbit, Scott Hutchison, died by suicide. Like many around the world, Scott’s music meant a great deal to me. The rawness of his lyrics and openness about mental health helped me navigate my way through difficult times. When an artist you love dies, it’s hard to not make it all about you. After all, when they were alive, the relationship was one way. You took meaning from their work and they didn’t know you existed. When Scott died it dug up a lot of my own issues. Everything from my uncle’s suicide to my own bouts of depression, and I struggled to think of a way to express them. So I turned to Scott. I went through each of Frightened Rabbit’s five studio albums and, for every song, used the first line(s) of the chorus as opening lines for 60 short poems exploring my experiences with mental health problems. I call this collection Frightened Poems and am grateful to Scott and the band for giving me the courage and inspiration to write them. when I’ve not been struck. and the keys no longer fit. Go on, there’s only one of you. He’s learning on the job too. giving blood on the street tonight. we shan’t be here long. the way you want things to be. to take a bite of my final apple. Well is that you, in front of me? It’s been tough to see clearly lately. Is that you, in front of me? and thank you for being in front of me. that I feel I can talk to you. unlocking you to the real me. Leave the rest at arm’s length. as the pain slowly blows over. Oh, let’s get old, old fashioned. Let’s keep it zipped up. Let’s whizz about full speed. Let’s drive into the wall. it was far less exhausting. You twist and whisper the wrong name. The one that doesn’t fit me anymore. You think I’ve outgrown it. and simply rattle around inside it. this Earth and start again. I’m working on my backwards walk. I’m working on how far back I can go. I’m working on seeing if I used to talk. I’m working on when I changed yes to no. Can you see the look on your face? Can you see me in the light? Can you see the look inside my face? 14. Who’d You Kill Now? Who’d you push down the stairs last night? The guy who gets you out of bed? The guy who gets you dressed? The guy who likes talking to others? The guy who likes you? Or all of the above? Again. Next time, try shoving the one who hurts you. and teach myself to walk again. Swim, until you can’t see land. I would but I am so tired. I can’t quite remember how. I want to stay here one more day. I guess I can try again. but that was never a question I asked her to answer. before, during and after the blurs. Are you a bag of sand? that can’t move on its own. Hold on to your thumbs. Put them in your mouth if you have to. until someone taught you to stop doing what feels good. They’re not there any more. They’re not there to tell you how to use your hands. Or what not to do with them. as it was when you put them in your mouth. because I’m yet to leave the house. to stop misery’s key from working. kept the windows and curtains shut. I do my best not to live in navy alone. it’s not long until I find myself in black. I urge you to let your talents show. it’s the way I need to go. At first it bleeds then it scabs. The itch makes me want to pick. so I leave it to itch. hoping never to be found. It’s got me this far. You say together we can go far. but for you I’m by the phone. Will you come back to my corner? Spent too long alone tonight. that’s why I’m asking tonight. hands in my pits stop suicide. because it’s a rare day that I like me. come on, then I’ll be fun. please don’t steal me from my house. everything seems to be going well. each thud a reminder she’s there for me. and I jumped with her. I won’t fall for her. hand me the laughing gas. It’ll be a laugh, I guess. but I’ll help you if you like. it’s probably about time they stopped. I’ll let you steal me from my health. all dolled up in your dark skin suit. reminding you of your fragility. I see the end of everyone I know. and remember I’m wide awake. it’s the only thing keeping it beating. and the last person I wanted to. where the front door is. and the things I did to me. I waited for the crash to come. I packed away my kit for tomorrow. I’d come back as a kite. I tried it for a while. and reminded I wasn’t a kite. If I bend then I might not break. Fed up feeling dirty with every clean break. It’s alright, it’s alright . no sign of the source. is all I ever wanted. with traffic speeding, searching for an accident. just waiting for me to drive home. My mind’s a town just begging to be empty. Residents line up and throw away their keys. I can keep going, if you can take it. and explain what it all means. and will see no need to call it an end.